With the Commodore 64 turning 30 today (See: BBC News - Commodore 64 turns 30: What do today’s kids make of it? ), I started thinking about my first computer, the Sinclair ZX81 (see it on Wikipedia), also called the Timex Sinclair 1000 in the USA. 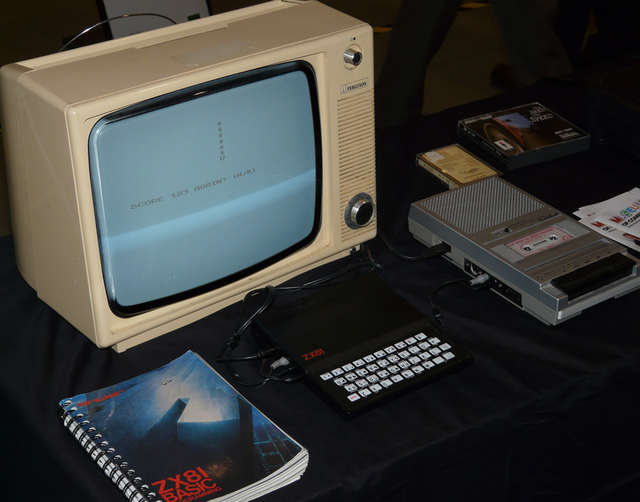 Photo of Sinclair ZX81, tv and tape © Mike Cattell on Flickr (because I have none). The year would have been 1982, I was an awkward teenager, and this new device changed my world. 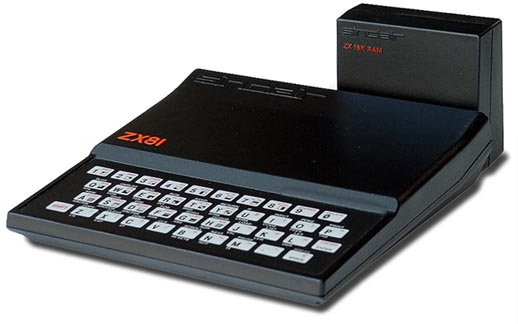 It had a Zilog Z80 CPU running at 3.25MHz, 1KB RAM, 8KB ROM, was connected to a portable Black and White TV for display and used a battery powered manual cassette tape player for external storage. We got it a year before the Commodore 64 came out in our region. But to me, it was amazing. I could make the thing do all sorts of interesting things using Sinclair BASIC, it’s what I learned to program in, 24 lines by 32 characters at a time. We could even play games on it, after you added the 16K RAM upgrade and typed in all the code from a magazine (or purchased a tape). This is the device that started my love affair with computing, programming and design.